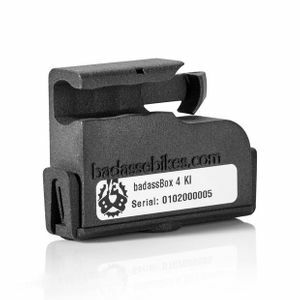 The badassBell from swisstrailbell can be quickly, easily and securely attached to the handlebars of the e-bike. It has a pleasant ring tone that even older pedestrians can still hear clearly from a distance. This takes the horror out of the encounter and, in our opinion, is the best compromise between necessary warning and low noise pollution. 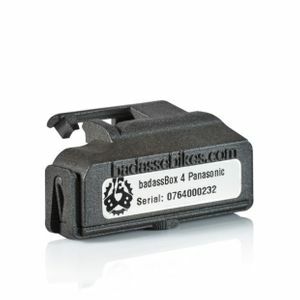 badassBell from swisstrailbell is produced in Switzerland with social commitment. It has a magnet sewn into a fabric band to switch the bell function on/off. In the ringing position, the fabric tape is attached to its own handlebar holder using Velcro. To mute, the magnet can either be cut down briefly or inserted between the clapper and the bell wall, e.g. for rough off-road use. 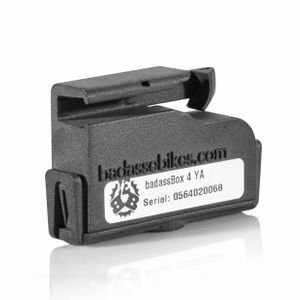 It is the ideal addition for any considerate rider and connoisseurs will immediately understand that with the printed Badass eBikes logo, there is a wolf in sheep's clothing riding here.